Kazakhstan saw its first planes in early 20s. During the civil war, apart from military missions, the planes performed transportation operations and were used for propaganda. After the war most military planes were used in the national economy. 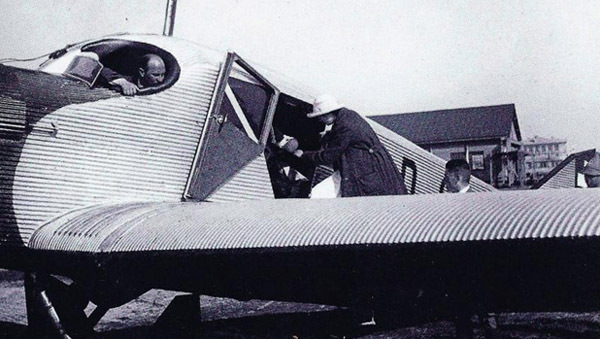 The first testing civil flight dates back to April 1924, which was a flight from Tashkent to Alma-Ata and back. Regular air traffic by this Kazakhstan’s only airway began on July 11, 1924 using Yu-13 planes made of metal. In 1927, Alma-Ata-Djarkent airway was opened and operations to Moscow were launched. At that time the fastest growing was Kazakhstan’s civil air fleet. Aerodromes and airports were constructed; airlines were fitted out with special equipment, new airways opened. The air fleet was being heavily upgraded. Fast growth of civil aviation in Kazakhstan set a challenge of improving the training delivered for pilots, engineers, technicians and other air-related specialists. A good half of the youth from South Kazakhstan region entered education establishments of civil air fleet. In 1932, the Presidium of the Supreme Soviet issued an order to create aviation hubs, which resulted in appearance of a permanent agricultural airbase. The base consisted of two aircraft divisions whose goal was to perform aircraft maintenance in Almata, Dzhambul, Kyzylorda, and Chimkent regions. The aircraft division’s key goal was to fight locusts, which was done using wooden planes Po-2. 112.5 hectares of land near Chimkent was allocated for the airbase. Starting from 1933, the aviation division began passenger operations and started providing airmail services. In the third year of the five-year planning cycle construction of a new airport and line repairshops that began in Chimkent. Also, new aircraft runways were constructed for local airways. However, the airmen’s peaceful labor was interrupted. The Great Patriotic War began. From the very first days of the war most pilots of Kazakh administration of civil aviation, including those from Chimkent, flew off to the front line on their planes. Air division’s two Po-2 planes stayed at the aerodrome along with 15 Po-2 planes of the training air squadron. Chimkent aircraft division, one of a range of divisions of Kazakh administration of civil air fleet, began training pilots for the Red Army’s Air Force. Several thousand of young pilots received training in Kazakhstan. During the war 300 best pilots, aircraft technicians, flight mechanics, flight radio operators, engineers and other employees of Kazakhstan’s Civil Air Fleet were decorated with Soviet Union’s orders and medals for their heroism, courage, and exemplary performance of missions. On July 18, 1941, the bureau of the regional committee of communist party issued a regulation on establishment of a pilot school in Chimkent for 100 young trainees with secondary education and senior pupils. An aviation school was created on the basis of the aviation division. Chuguev school of air force was evacuated to Chimkent, where during the war several hundred young pilots were trained and sent off to the front line. 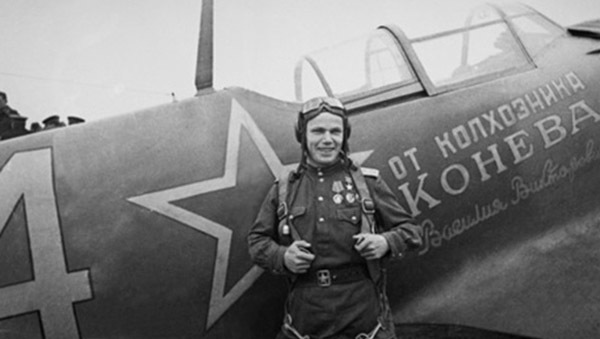 The pilots were trained by Kozhedub, a three-times Hero of Soviet Union who shot down 64 enemy planes. Right after the Great Patriotic War the USSR began restoration and further development of its national economy. Chimkent Civil Aviation Enterprise resumed its operations. On March 13, 1944, the executive committee of the Regional Council of Workers’ Deputies of South Kazakhstan region passed a decision “On organizing passenger air traffic in South Kazakhstan Region”. In spring 1947 the airport was relocated. On January 3, 1949, the aviation division was assigned the name “165th special purpose aviation division”. In 1960s Chimkent aviation enterprise put great effort into introduction of new planes and machines: An-2, Yak-12, Superaero 45, Morava. In 1963, the division had flights over 13 airways with the total length of 10,200 km. Due to a higher role of civil aviation in the development of national economy and the increase in aircraft fleet, starting from December 27, 1963 Chimkent aviation division was relocated to its current location. On September 20, 1963, the 158th united aviation division was reorganized into Chimkent united aviation division of Kazakh administration of civil aviation. In 1965, with receipt of IL-14 planes, expansion of air traffic and the launch of new flights, all the services of the aviation enterprise began operations on a 24/7 basis. First regular flights were launched to Moscow, Alma-Ata, Mineralnyye Vody, and Sochi. IL-18 planes were used for those flights. In 1966, the division had flights over 19 airways with the total length of 9,218 km. Pilots were being heavily retrained and new machines introduced. Piston machines: Li-2, Il-2, Morava, and Super-45 were replaced by state-of-the-art high-performance aircraft like An-24, and Il-18. In January 1971, the Central Administration of International Air Traffic of Aeroflot was created on the basis of the Transportation administration of international airlines, which became the industry’s only enterprise to offer international flights under the brand of Aeroflot - Soviet Airlines. The words “aviation” and “Aeroflot” had absolutely the same meaning for a Soviet person, for there were no other air carriers in the country. Apart from its passenger operations, Aeroflot performed all the other aviation activities in the USSR. Aeroflot included the country’s agricultural aviation, transportation of military freights and military staff. In early 1990s Aeroflot was again restructured with more autonomy granted to individual aviation divisions. This as well as the collapse of the Soviet Union resulted in the fact that in 1992 the world’s (and history’s) largest airline that transported up to 130 million passengers by the end of 1980s split into more than 300 separate airlines. Some of those companies were so small they had only 1-2 planes in their fleet. Kazakhstan inherited from Aeroflot some of the most powerful civil aviation in former USSR. Aviation enterprises of Kazakhstan administration of the Ministry of Civil Aviation were strong in second place by all the key parameters in all Soviet Union. This is why national airline Kazakhstan Aue Zholy (NAC) who found themselves in charge of assets of the former Aeroflot administration and 28 regional aviation divisions, one of whose leaders was Chimkent aviation division, initially had great development prospects. At the same time it is of great importance that at the very beginning of the country’s independence era, the NAC, as a transportation industry, was already integrated into the global economy. Professional crews, readily available base for international operations, Kazakhstan ratifying international conventions and joining the IATA – this was sufficient to begin regular flights to both CIS and non-CIS states. As early as in 1993 Kazakhstan Aue Zholy had 10 permanent offices in capitals of a number of countries as well as quite an extensive traffic network. On June 21, 1995, pursuant to the National Program for Denationalization and Privatization in the Republic of Kazakhstan, Chimkent united aviation division was renamed into Joint-Stock Company Shymkent Avia. On April 30, 1996, the government signed regulation No. 533 that assigned Kazakhstan Aue Zholy to external management. Three and a half months later “crucial” regulation No. 10-30 was issued that spun off all the liquid assets from the NAC and all its regional aviation enterprises. New managers were taking away all the best. All IL-86, IL-76, TY-154, TU-134, and AN-24 planes with good service life along with maintenance bases, warehouses for fuel and lubricants in the airports and other assets were included into the authorized capital of a new airline called Air Kazakstan. All the regional aviation enterprises were spun off from the NAC, including the Chimkent aviation division and major airports – a single mechanism was split into separate parts. As it collapsed the change in priorities also began: low-profit domestic flights began declining and closing, and the new national air carrier switched to pulling the money. Networks of air routes that made the country accessible and transparent began to break – priorities of that moment were shifting towards Istanbul, Karachi, Moscow and Tel Aviv. Pilots, aircraft technicians, air stewards and others were asking the same question: what next? Nobody received any salary. Basic assets were being closed down. Regulation of Kazakhstan Government No. 1030 “About measures aimed at economic stabilization of civil aviation in the Republic of Kazakhstan” served as a reason for breakup for Chimkent aviation enterprise with two separate entities spun off from its remains, the navigation and the airport, whose main goal was to create a single airline, Closed Joint-Stock Company Air Kazakhstan. However, nobody guaranteed payment of salaries to pilots and employees of the aviation industry. To get a job in Air Kazakhstan one had to go through a competitive contest. However, even after you have passed the tests, you had to do your best to still believe in good well-paid future with this company. Some people would go through the casting process and start working in Air Kazakhstan, while some would simply leave the aviation for good. This was the first step towards the loss of reserve of aviation specialists. However, there were pilots crazy about the sky and their job who wanted to work for people’s good pursuing the goal of progress in the civil aviation of the Republic of Kazakhstan.